This recipe can be used as a stand-alone soup or added on pasta and used as a creamy zucchini pesto. 2) Add zucchini, basil, and sprinkle with salt and pepper. 4) Add enough milk to create a bottom layer of about an inch or so. 5) Continue stirring until it boils. Lower flame to medium and cover pot. 6) Cook for 20min or whenever zucchini look cooked. – If soup is too runny, add tofu or cornstarch and blend. 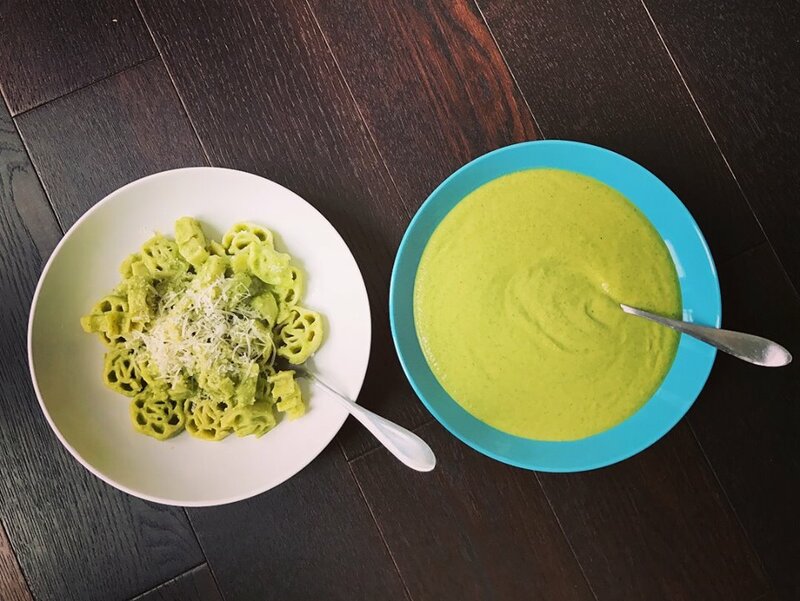 – If you want to add a cheesy flavor to the pesto, add Nutritional Yeast (or parmesan cheese, if not vegan).